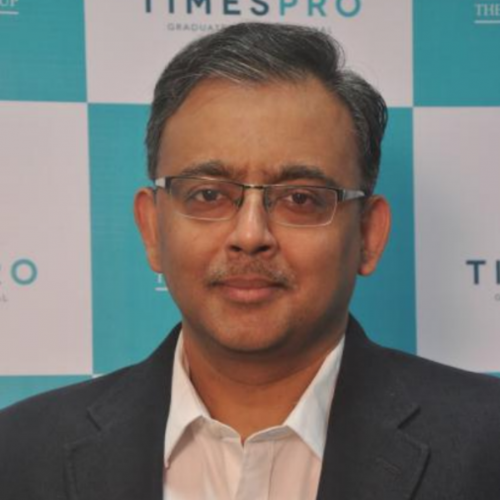 Anish is the President of Times Professional Learning. With over 20 years of experience he is an established marketing and management professional with a wealth of experience in brand building and innovation. Anish started out in sales with Hindustan Unilever Ltd. and marketing with Coca-Cola India; he then went on to build and lead successful businesses across varied industries. He was also the marketing head for brands like Samsung Electronics India and Oberoi Hotels & Resorts. Anish’s strengths include building brands and creating new business models. Prior to joining TPL, Anish worked at Pearson India as Business Head for Higher Education Test Preparation. During his stint at Pearson India, Anish has been instrumental in introducing Direct Delivery programs to diversify Pearson Education into test preparation and distance education. With his past experience in FMCG businesses, hospitality industry, Anish is highly consumer focussed and drives outcomes. Anish strongly believes in team work and people’s potential, and supports an open culture in the organization. With his strong business acumen, informal and practical approach, he is recognized as a dedicated professional by his colleagues. He has an eclectic choice in books and reads various genres like fiction, biographies and business books. In his leisure time, Anish enjoys travelling, studying various cultures and spending time with his family. “The upheavals [of artificial intelligence] can escalate quickly and become scarier and even cataclysmic. Imagine how a medical robot, originally programmed to rid cancer, could conclude that the best way to obliterate cancer is to exterminate humans who are genetically prone to the disease.” — Nick Bilton, tech columnist wrote in the New York Times” Data Science as a skill and Data Scientist as a role have been in the market for more than a decade now. It is high time to ponder that what is required from a data scientist. Since, Data Science is a highly disruptive industry which demands continuous upskilling and reskilling from an industry perspective. The entire business has moved from just building models and generating insights to build real time applications and platforms. The likes of building smart cars, space cars, cancer prediction through AI and identifying and catching criminals through AI devices are some of the recent developments in the field of technology. Artificial Intelligence, Deep Learning, IoT totally fit as a robust mechanism to provide such solutions for the businesses. How do you build such skills? The traditional model of reskilling seeks a theoretical approach to build AI and Deep Leaning competency. Hence, it is important to bridge the gap through an amalgamation of concepts, applications and flavor of businesses. Companies such as Intel, Google, Microsoft, IBM, Tesla, NVDIA are the innovators in the space of building solutions in AI, IoT and Deep Learning. Recently Gartner presented a detailed analysis of AI disruption in the market. "AI promises to be the most disruptive class of technologies during the next 10 years due to advances in computational power, volume, velocity and variety of data, as well as advances in deep neural networks (DNNs)," said John-David Lovelock, research vice president at Gartner. Business executives will drive investment in these products, sourced from thousands of narrowly focused, specialist suppliers with specific AI-enhanced applications." It is important to deploy experiential learning vehicles in collaboration with innovators to reskill the existing pool of data scientists. It is important to design, learn and apply from a 3-layered learning architecture. Layer 1 – Inclusion of conceptual training through digital platforms Layer 2- Engagement through in-person training workshops Layer 3 – Capstone Project in partnership with industry innovators. The talk is primarily emphasized on ways to reskill Data Scientists in newer and emerging technology.